A few days ago, I introduced you to my Better than the “Best Life” Weight Loss Plan. In that post, I told you why diets and workouts simply don’t work for most people. I told you that unless you address your personal weight loss roadblocks, you may be trapped forever in a cycle of yo-yo dieting….well, that sounds ominous, doesn’t it? Today, I will be discussing your mental/emotional roadblocks to successful weight loss. In particular, I will be discussing Dr. Judith Beck’s psychological approach to successful weight loss. Who is Dr. Judith Beck? The author of the textbook, Cognitive Therapy: Basics and Beyond, which has been translated into 20 languages and is the basic textbook in the field for most students in psychiatry, psychology, social work, and psychiatric nursing in the U.S. and around the world. The daughter of Aaron T. Beck, M.D., the founder of cognitive therapy, with whom she has worked closely in developing its clinical applications and theoretical advancements. The author of the best selling diet books: The Beck Diet Solution, The Beck Diet Solution Weight Loss Workbook and new for 2009, the complete Beck Diet for Life. And what is the Beck Diet all about? 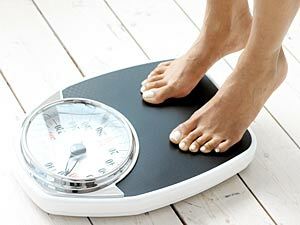 Frees you from obsession about your food choices, weight and appearance. In short, Dr. Beck’s CBT (cognitive behavioral therapy) approach to weight loss attempts to free you from your controlling thoughts and emotions. There techniques taught in this book have been successfully used as a treatment for many clinical disorders, personality conditions and behavioral problems. To this point, only Dr. Beck has applied these techniques to treat the mental issues behind obesity. I have used these techniques on a number of my clients, and what I love about Dr. Beck’s techniques is how they help dieters avoid the pitfalls that happen to all of us. She teaches you how to transform your psychological “giving-in” into a psychological “stick to it” muscle. There are 5 stages to Dr. Beck’s program. To help you develop these skills, you will have to complete various tasks and techniques. And believe it or not, in Stage 1, there is no dieting. That begins in Stage 2. And before you can proceed to Stage 2, you HAVE to master the 9 success skills. In Stage 2, Dr. Beck introduces her “Think Thin Eating Plan”. I will go into more detail on Dr. Beck’s eating plan in a future post. However, I have to say that this is the one area of Dr. Beck’s book that I disagree with. Her recommendations are typical of most of the other diet books on the market. It all comes down to the typical Food Pyramid / Caloric Restriction theory that has been failing dieters for decades. Obviously, the nutritional guidelines weren’t drafted by Dr. Beck. I can only assume that a nutritionist associated with her practice put this together. In her defense, I have heard through the grapevine that Dr. Beck’s readers complained that her previous book didn’t have this information and that they were shocked that a “diet” book wasn’t telling them what foods to eat. So, in an attempt to make them happy, Dr. Beck added this chapter. Personally, I still recommend that you complete Stage 2. I just think that you should follow another diet. This one or this one. You will spend 2 to 3 weeks in Stage 2. And like Stage 1, you need to fulfill specific requirements before moving on to Stage 3. You will also continue to work on the 9 Success Skills from Stage 1. Or when you are psychologically or emotionally stressed out. There are a wide variety of skills to work on in this section. I will go into these skills in greater detail in a future post. In my opinion, the skills you will learn in this stage should be required reading for anyone trying to lose weight and still have some semblance of a social life. To enter Stage 4, you need to know that you can follow your plan in any situation. If you have achieved that level of self control, you can now loosen things up a bit, knowing that you are in charge of your thoughts and feelings and that if you start to put on some extra weight, you have the skills necessary to turn things around. And not that she doesn’t trust you, but Dr. Beck still has a few more experiments to make sure that you are ready to graduate to Stage 5. Stage 5 is Dr. Beck’s Maintenance Stage. And like all of the other stages, Dr. beck has a series of daily tasks designed to maintain your success skills and your weight loss. Some of you out there don’t need this book. Those extra holiday pounds are probably already melting away as you have returned to a more “normal” day to day schedule. This book is written for those people who need to re-gain control over their thoughts and emotions. If that sounds like you, I can heartily recommend Dr. Beck’s new book…..Except for the dietary recommendations.. If you answered YES, then you, my friend, are an Emotional Eater. And you’re not alone. In the past few years, the practice of mindful eating has grown out of the more generalized psychiatric practice of Mindfulness Meditation, made popular by Jon Kabat-Zinn. It finds it’s origin in Buddhist teachings. The Buddhist practice of Mindfulness can be defined as “awareness of one’s thoughts, actions or motivations”. I Can Make You Thin with Paul McKenna employed mindful eating in it’s weight loss plan.